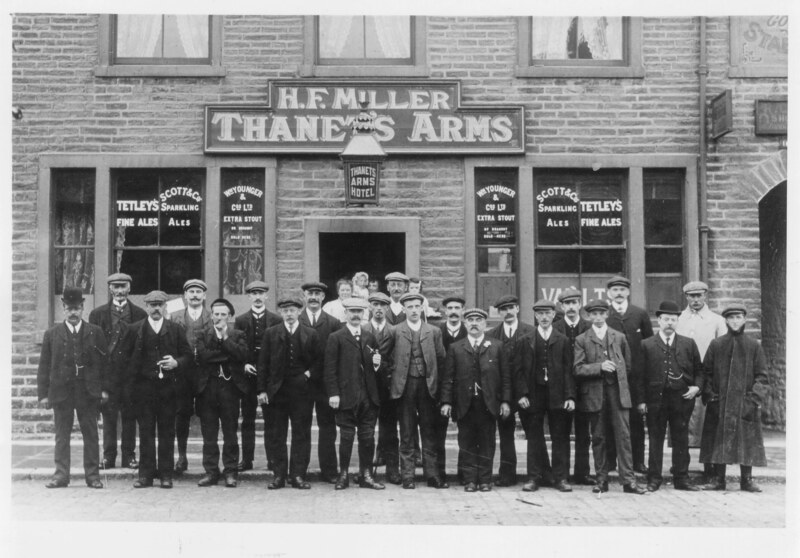 Group photograph outside Thanet's Arms. H F Miller was my husband's Great Grandfather. According to a piece from the Craven Herald of October 2nd 1980, he was there from May 1906 to December 1908 when the pub closed. It belonged to the castle estate. Does anyone know if the people nearest the doorway are the Miller family? I have since found a family photo which confirms that the man and woman nearest the doorway are the landlord, HF Miller, and his wife Hannah. The young woman and the baby may be their daughter Lizzie Jacques and her daughter Emily.